Sonny’s BBQ menu prices for a popular barbecue chain that was established back in 1968 in Gainesville, Florida by Floyd ‘Sonny’ Tillman. Today the restaurant is well known not just for its BBQ but also for a wide range of desserts, appetizers, and chicken. Below are the latest Sonny’s menu prices. After Tillman founded the restaurant in 1968, numerous locations soon followed as well as franchises. In 1991, Bob and Jeff Yarmuth, who owned franchises in Orlando, bought the company and moved the headquarters to Maitland, Florida. Today, Sonny’s has 126 restaurants located in nine southern states. Even though Sonny’s BBQ has expanded operations, it continues to operate by its “local BBQ” philosophy and doesn’t stray far from the way Tillman run the company years ago. Unlike other BBQ restaurants that fast track everything, Sonny’s still slow smokes for 12 hours over oak, and their servings are very generous. Their Garden of Eatin is very popular among customers and features their Bottomless Salad Bar, Smokin’ Chicken Caesar, and Brunswick Garden Salad. You can also try out their Grilled and Golden treats such as the Pitmaster’s Pride Burger, Char-grilled Chicken Sandwich, and the famous Sonny’s Steakburger. Desserts as well as All You Can Eat options are also available. For more information about Sonny’s BBQ, please visit their website. Does Sonny’s BBQ serve alcohol? 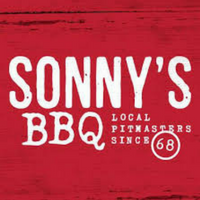 Sonny’s BBQ locations do not serve alcohol but guests can order Sonny’s Signature Iced Tea. Does Sonny’s BBQ offer food delivery service? Sonny’s BBQ locations do not offer food delivery service. A FRIEND OF MIND STOPPED BY YOUR OCALA RESTAURANT AND PICKUP TO BRING HOME IT WAS BBQ PULLED PORK AND FF WHAT A DISAPPOINTMENT IT WAS . THE MEAT WAS HARD AND THE FF WILL TO BE FRANK HAVING 8 TO 10 FF IN A PLATE AND MEAL IS NOT WHAT EXPECTED IT TO NEEDLESS TO SAY I DON!T THINK I WILL BE VISITING YOUR PLACE AGAIN REAL SOON. I DO REALIZE THAT YOUR PRICES ARE UP BUT CUTTING DOWN ON THE SIZE OF WHAT WAS GREAT IS NOT THE WAY TO DO IT .